Can you Remember Your First Cigarette? These are the 3 most popular reasons why people have their first cigarette. Is one of them yours? A need to belong – To “fit in” with your friends. A need to rebel – To assert your emerging independence against authority figures in your life such as your parents or teachers. A need to feed your ego. To feel “cool” or grown up. Does smoking a cigarette still help you “fit in” with your friends, show you’re a rebel or make you look “cool”? I expect you don’t think this anymore but there is a good chance your subconscious does. When did you Decide to be a Smoker for the Rest of Your Life? Whilst you decided to have that first cigarette, it’s unlikely that you ever made a conscious decision to be a regular smoker for the rest of your life but that is what has happened to you. The force of habit has “kicked in”. “Hypnosis is the most effective way of giving up smoking, according to the largest ever scientific comparison of ways of breaking the habit. Willpower, it turns out, counts for very little”. Your subconscious has many emotional links to smoking that began with that first puff. It thinks it is helping you by smoking so it keeps you doing it no matter what your conscious, logical mind tries. Habit leads to automatic responses; smoking with the morning coffee, smoking when stressed or smoking as reward. Your 90-minute stop smoking treatment combines deep relaxation hypnosis, practical behaviour change, positive suggestions and visualisation in a powerful formula for quitting smoking more easily. The first part of the session is an informal chat that helps me understand your relationship with cigarettes and what they represent to you. This information is extremely useful as it allows me to construct your hypnotic suggestions more effectively in hypnosis. We will discuss effective ways to change behaviour patterns at your key trigger moments, such as with that morning coffee. You will then enter a relaxed state, experiencing the pleasant feeling of hypnosis. Your subconscious will be in a heightened state to receive suggestions, creating new associations and links to allow you to become a healthy non-smoker. I help clients from Hailsham, Bexhill, Lewes and neighbouring towns to stop smoking. I look forward to helping you too. 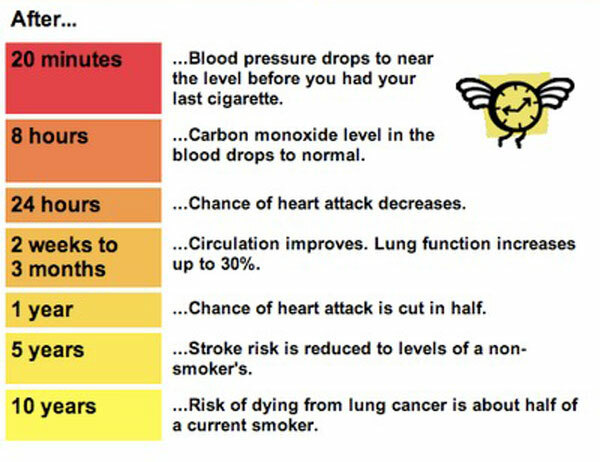 I also run regular workshops on stopping smoking. Use the link below to find out more or to register your interest in a future session.